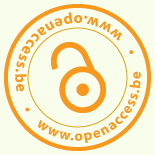 Since 2015 Open Access Belgium is a the working group of Open Knowledge Belgium. The signing of the Brussels Declaration on Open Access in October 2012. Following the Brussels Declaration on Open Access the EWI organized two follow-up workshops, one with the focus on Open Access and one focussing on Open Data. In 2010 the DRIVER projects were succeeded by OpenAIRE : Open Acces Infrastructure for Research in Europe. OpenAIRE supports the Euopean Commission’s Open Science policies with a technical infrastructure and a human network. Ghent University is national open access Desk for Belgium (NOAD) and coordinates region west. In 2007 the Université de Liège adopted the first Belgian ID/OA mandate (immediate deposit – optional access). Ghent University followed in 2009. L’Université Catholique de Louvain has adopted this model as well as from January 1st 2013. At the initiative of the ULg, it was decided to launch ‘EnablingOpenScholarship‘ (EOS), an organisation for universities and research institutions worldwide. The organisation is both an information service and a forum for raising and discussing issues around the mission of modern universities and research institutions, particularly with regard to the creation, dissemination and preservation of research findings.. The DRIVER projects, 2006-2009, have been instrumental in developing OA awareness across the Belgian scientific community. 23 repositories are set up until now (August 2015). You can find these on the OpenDOAR site. 12 of these are OpenAIRE complaint. Available full-text contents include doctoral and licentiate theses, journal articles, conference papers, reports, books and book chapters. More about Open Access repositories. The Directory of Open Access Journals lists 30 Belgian titles (August 2015), the majority of which do not charge APC’s and are funded by or established in collaboration with a research institution. The Registry of Research Data Repositories, lists 22 more data repositories where Belgian institutions are involved. The complete list can be found on re3data.org. In order to stimulate researchers to make their work OA, some research funders have already developed Open Access policies and mandates. In August 2008, the European Commission launched the Open Access Pilot in FP7 that will run until the end of the Framework Programme. In October 2013 the European Research Council (ERC) revised the Open Access Guidelines for researchers funded by the ERC. These initiatives require that researchers in designated areas provide open access to articles resulting from EC funded research, within a specified time period. Both initiatives have further special requirements. Also, the more general set of guidelines on OA issued by the European Research Council can have an influence on Belgian Researchers. The Fund for Scientific Research (F.R.S.-FNRS) has recently adopted a policy regarding the mandatory deposit in institutional repositories of publications by funded researchers. It also chairs the Belgian Interuniversity Working Group on HORIZON 2020 for the monitoring of EU research policies and is a parter of PASTEUR4OA. F.R.S.-FNRS was also responsible for the organisation of a European-wide conference entitled ‘Open Access Management and Policy’ in 2011. The Research Foundation Flanders (FWO) obliges its researchers to self-archive all articles coming from research funded by the FWO, in OA repositories. Obviously, the policy of international funders on OA is applicable to Belgian researchers working with these funds. www.iminds.be : IMinds is Flanders’ digital research & entrepreneurship hub. BOF “Special Research Funds” are allocated annually by the Flanders Government to the universities, supporting fundamental research activities. More about policies and mandates. Brussels Declaration on Open Access. A concise overview of the Belgian research landscape can be found on the Erawatch-site: Cordis – Erawatch National profile for Belgium.